Are you a tough guy that likes intimidating people just by passing close to them along the highway? Then, this awesome and scary skull-covered design is just the right one for you! 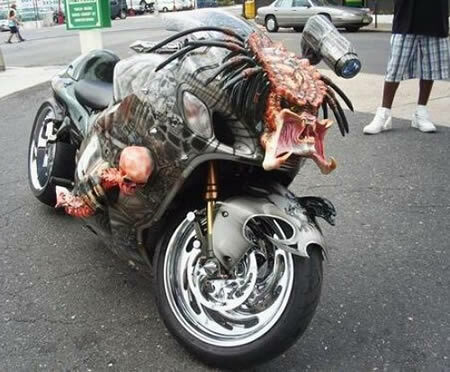 The Predator motorcycle was made as a commission, by Pitstop Motors, a custom bike shop in New Jersey. This cool Jaguar "leaper" cat logo concept bike was created by Barend Massow Hemmes of Massow Concept Cycles along with Polar cycles of Doncaster UK. Professional computer illustrators and even a sculptor contributed to get this truly unique final result. Do good things come in small packages? Not in this case! 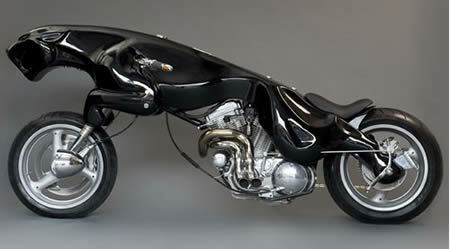 This massive motorcycle was built by Greg Dunham and is 6,500 pound heavy, 15 feet tall and 20 feet long. 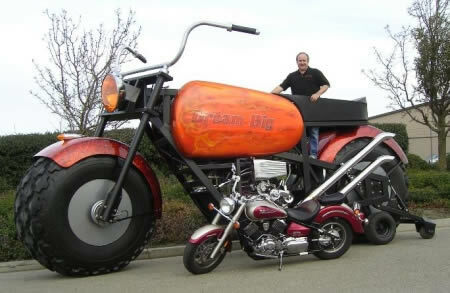 The huge design has entered the Guinness World Records, as the world's tallest rideable motorcycle. It took 3 years to have it finished and its price is $300,000. 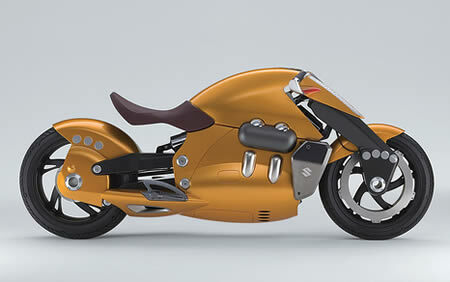 This futuristic Biplane concept motorcycle was presented in 2007 by Suzuki in Tokyo. Due to the awesome aircraft-inspired design the rider is supposed to have the same feeling as being in an open-canopied biplane. 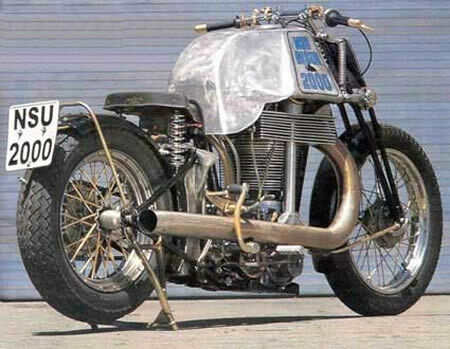 This outrageous motorcycle was built by Franz Langer, a retired German engineer who had his name written in the Guinness Book of Records for building the biggest single cylinder motor on a motorcycle. If you are a thrill seeker, you will love this one! 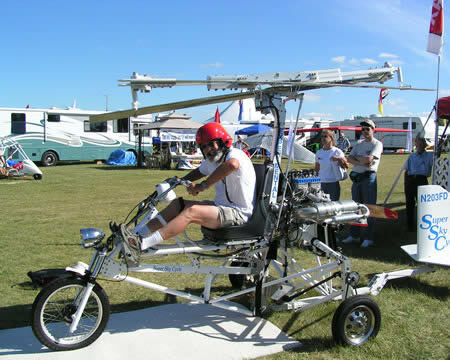 A flying bike called the Super Sky Cycle, created by former test pilot Larry Neal of Boyd. This original machine can go as fast as 70 mph in the air and 60 mph on the road. The price? About $ 25,000! 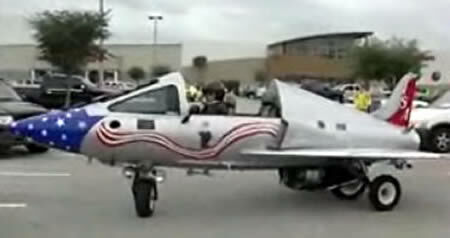 This oddity is actually an Honda Goldwing motorcycle that has been modified to look like a mini F15 Fighter Jet! Who would have thought? Wait a minute... isn't one of the wheels supposed to be in front of the other? Not when we talk about The Uno. This orange and grey colored machine made its first appearance in the 2008 National Motorcycle Show in Toronto. 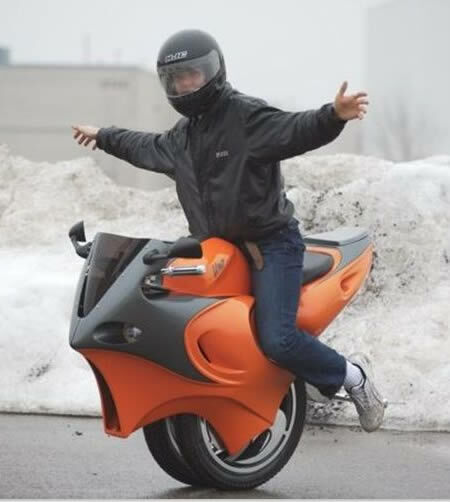 It was invented by 18-year-old Ben J. Poss Gulak, who also gave the unique motorcycle certain interesting features, like running on electricity and being controlled by body language. This one's really a collection piece. 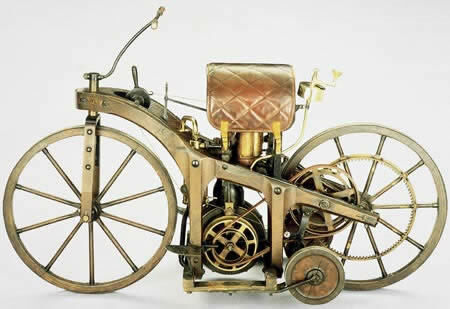 The First Motorcycle was created in 1885 in Stuttgart, Germany. It was designed and built by the German inventors Gottlieb Daimler and Wilhelm Maybach. The invention was also the first petroleum-powered vehicle. 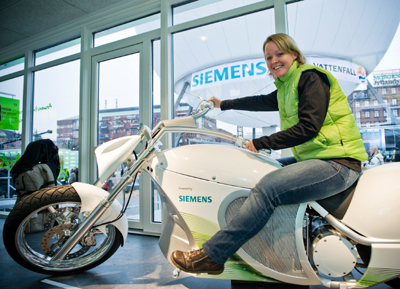 Take a look at The Smart Chopper, an awesome electric motorcycle presented a few months ago by Siemens. It is charged in 5 hours when plugged into any 110-volt socket but this could be reduced to even one hour when plugged into a higher-voltage station, according to Siemens. The Smart Chopper has a countrywide tour scheduled for next year, in order to promote sustainable and green technology. Now, this is an original one! 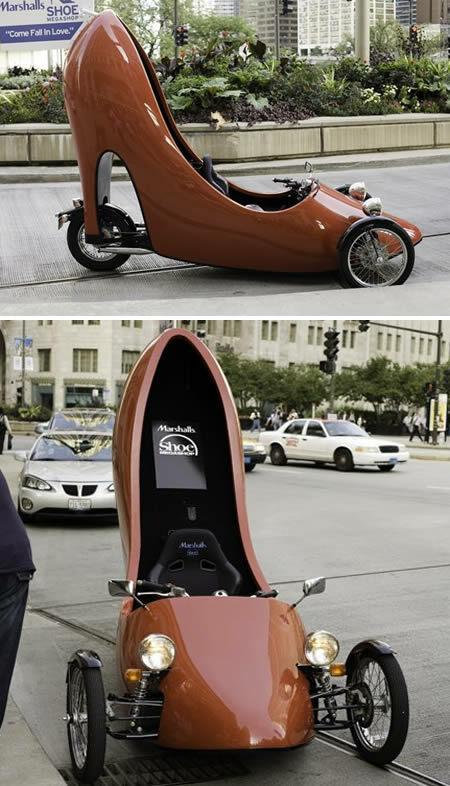 The orange shoe motorcycle was spotted by Dale Murray around Chicago downtown. The unusual machine was promoting a shoe sale at Marshalls. Are you the kind of person that wants all the attention on you? Well, you would love a ride on this one! This crazy cartoon-inspired motorcycle took part in a Motorcycle Rally. 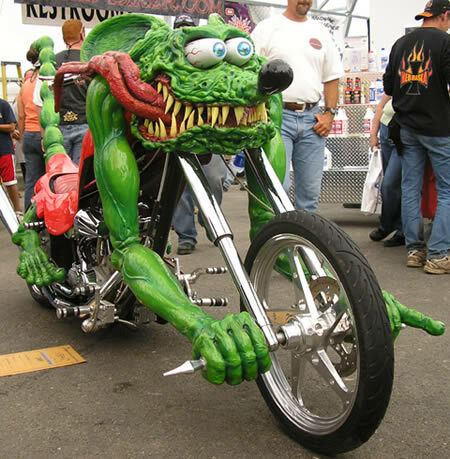 The event, that gathers motorcycle enthusiasts from around the world, presents the weirdest of motorbike designs once a year in Sturgis, South Dakota.